Thank you to all of the schools who participated in last year’s Tackle Cancer. Over $313,000 was raised for Minnesota’s cancer community! 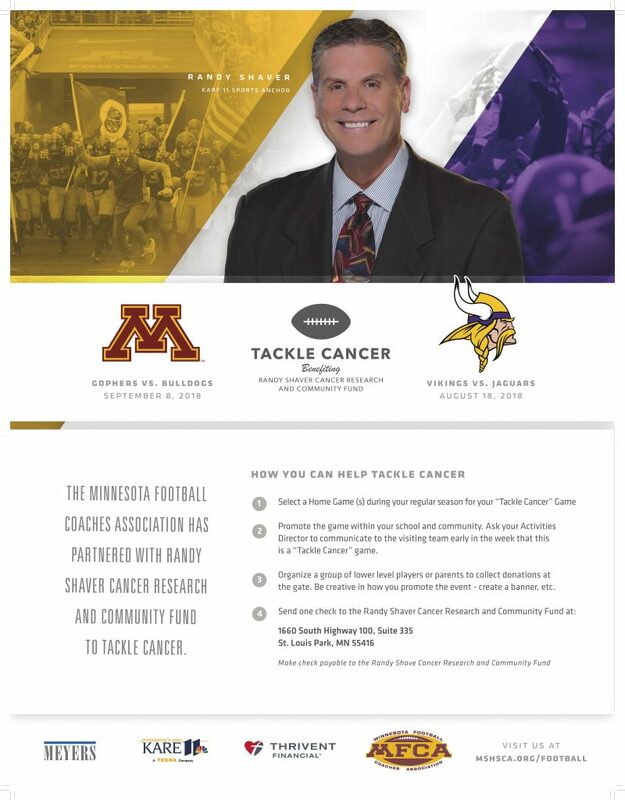 Cancer is a disease that has impacted all communities, most of our families, and many of our football teams throughout Minnesota. 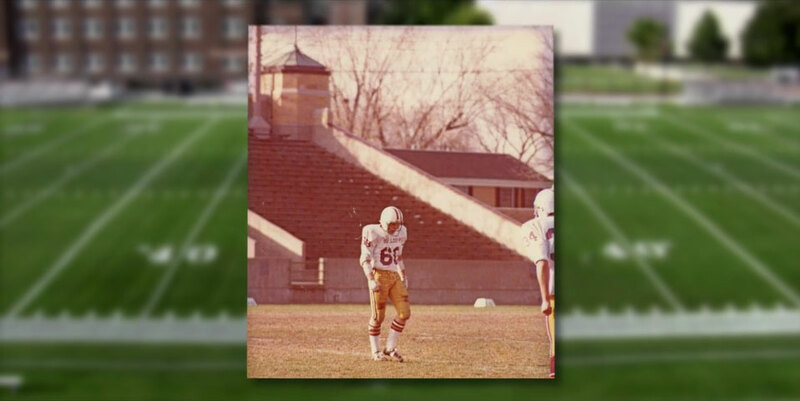 For the past 33 years, Randy Shaver has been there every Friday night in the fall covering high school football. On Saturday, August 18th Moe’s Bar & Grill in Mounds View hosted a Tackle Cancer Kick Off for Cancer Research and Patient Aid in Minnesota. There was a Silent Auction and entertainment by Armadillo Jump from 5-7:30pm and Sunshine Committee (formerly Hookers and Blow) from 5:30-8:30pm. There was a suggested $10 donation with the proceeds going to the Randy Shaver Cancer Research and Community Fund. If you are an interested school, please download the following donation form and include with your Tackle Cancer donation. 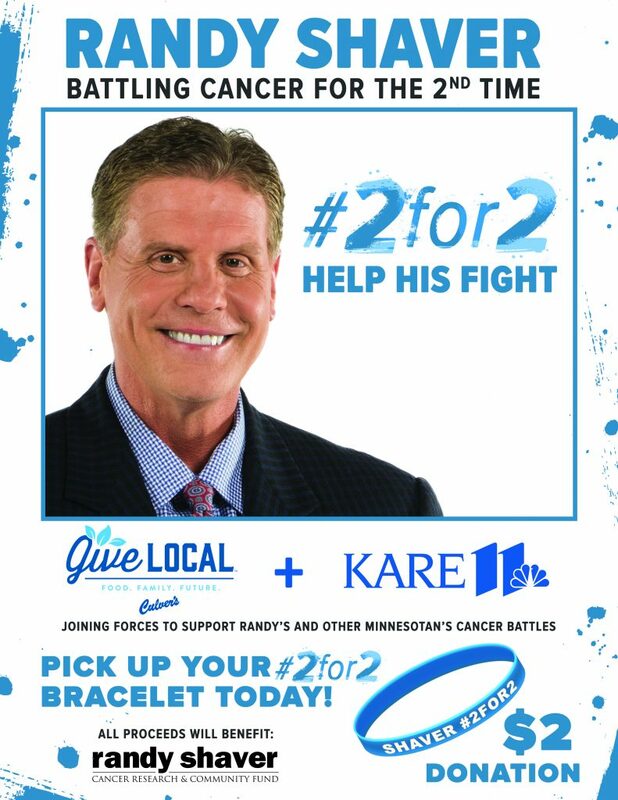 Attend any of these Tackle Cancer games and make a $2 donation and receive a bracelet.